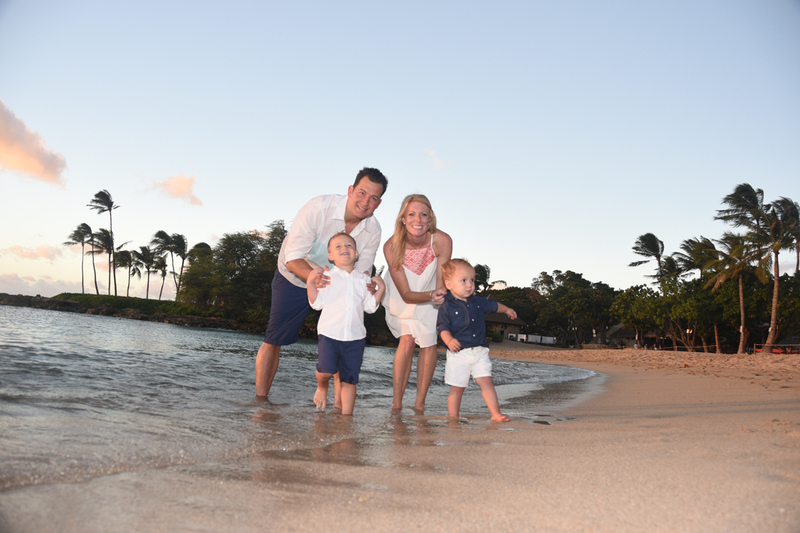 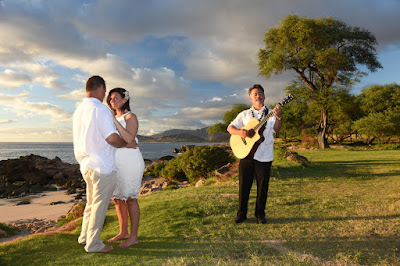 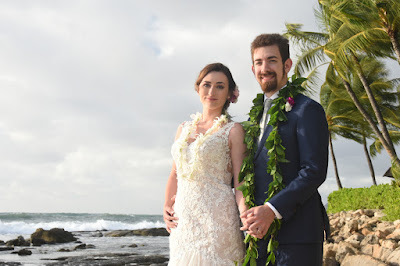 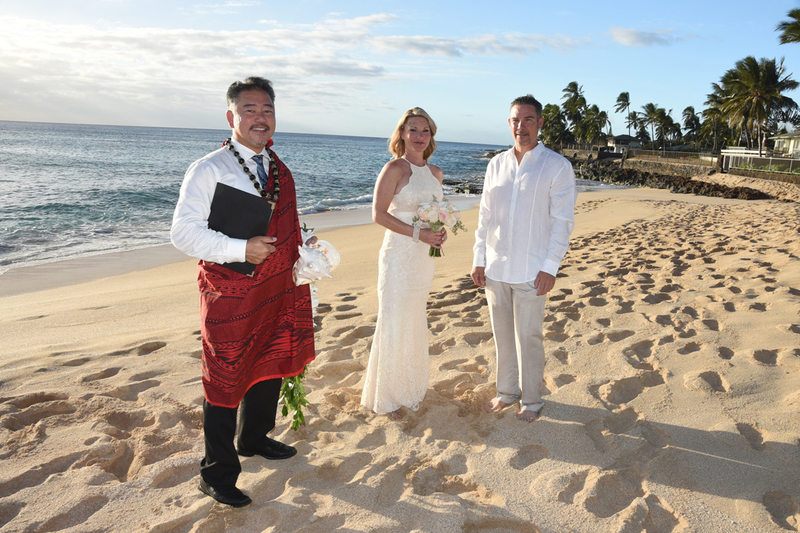 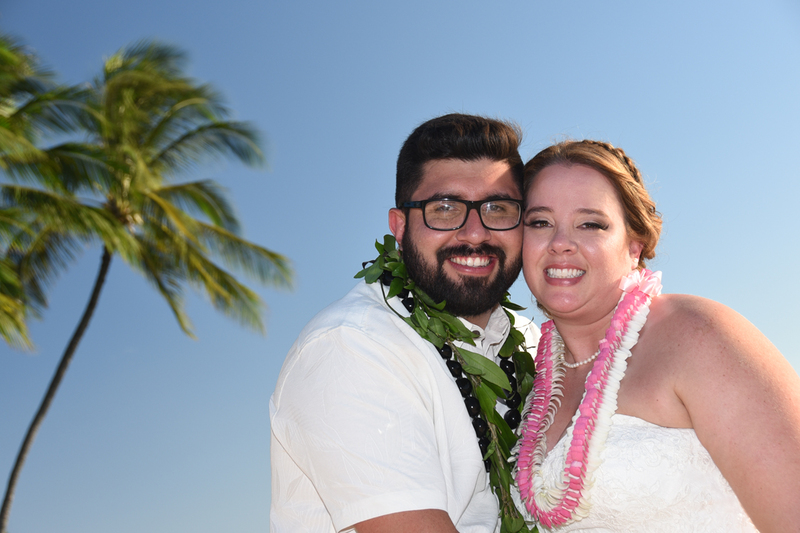 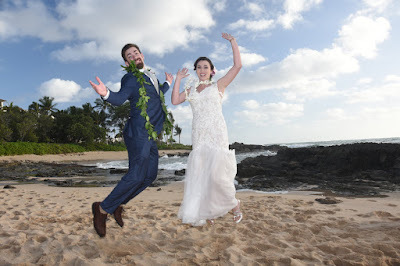 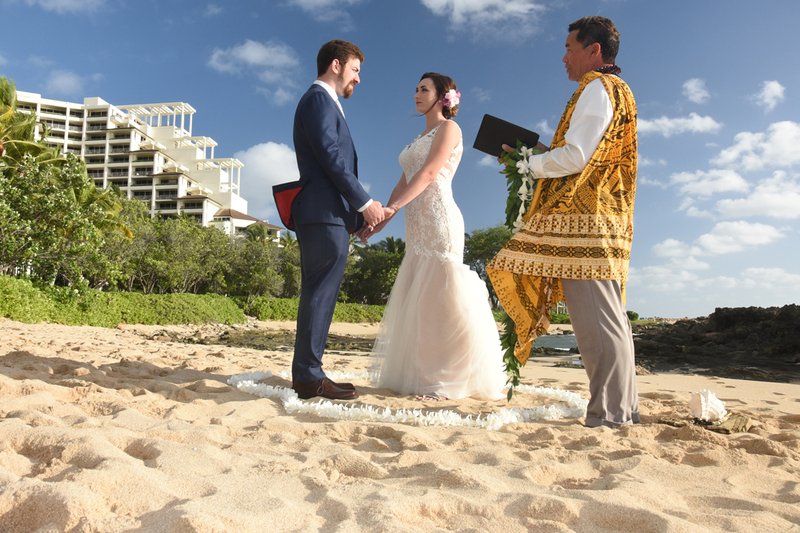 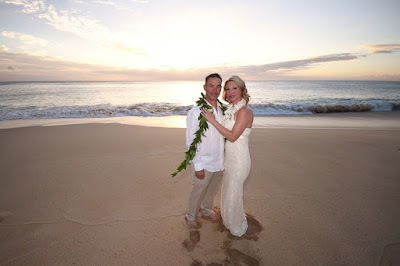 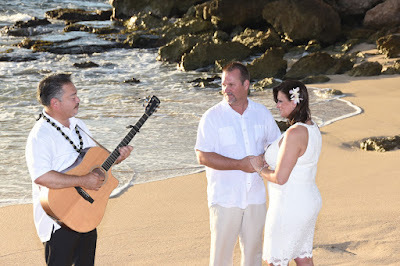 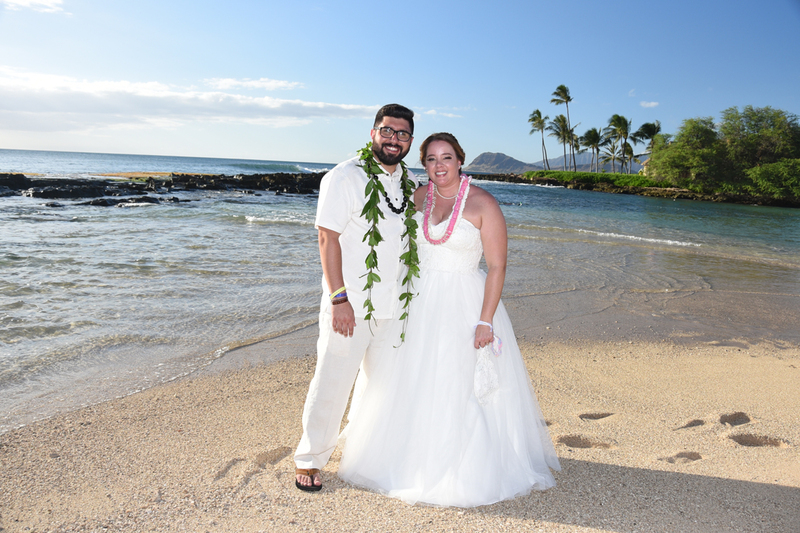 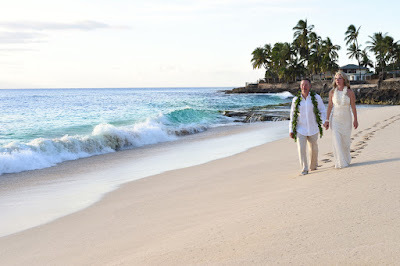 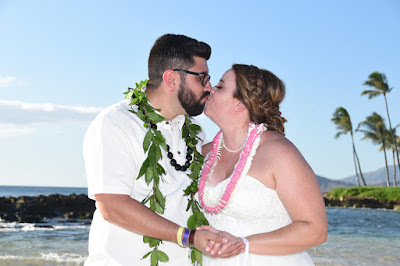 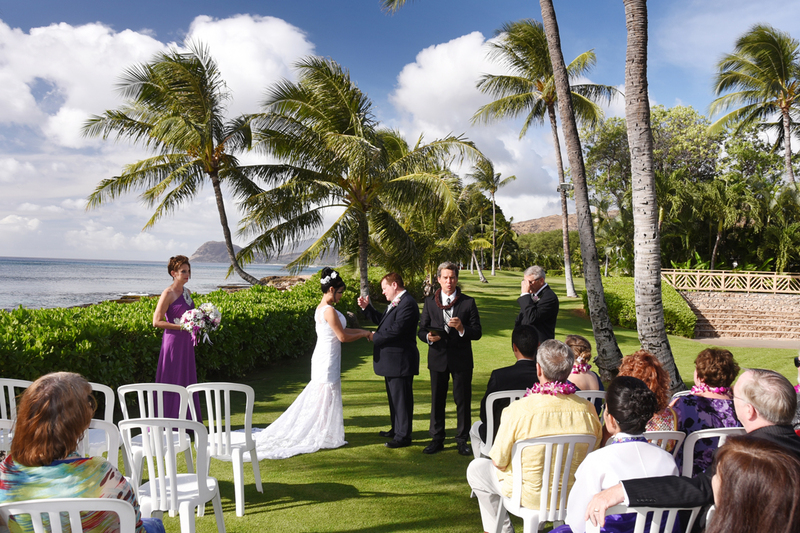 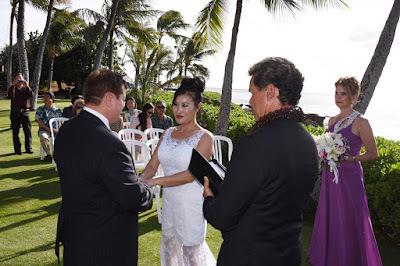 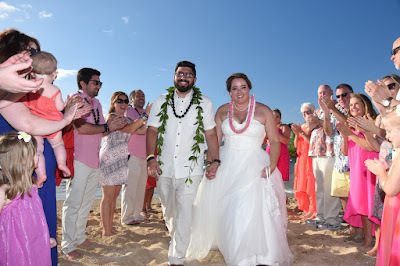 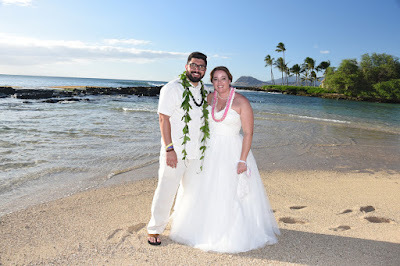 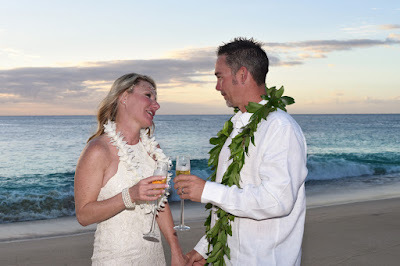 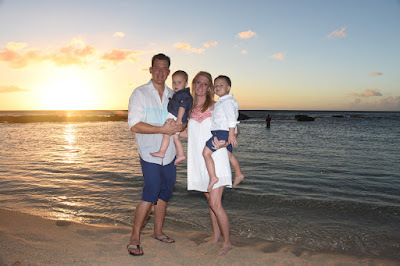 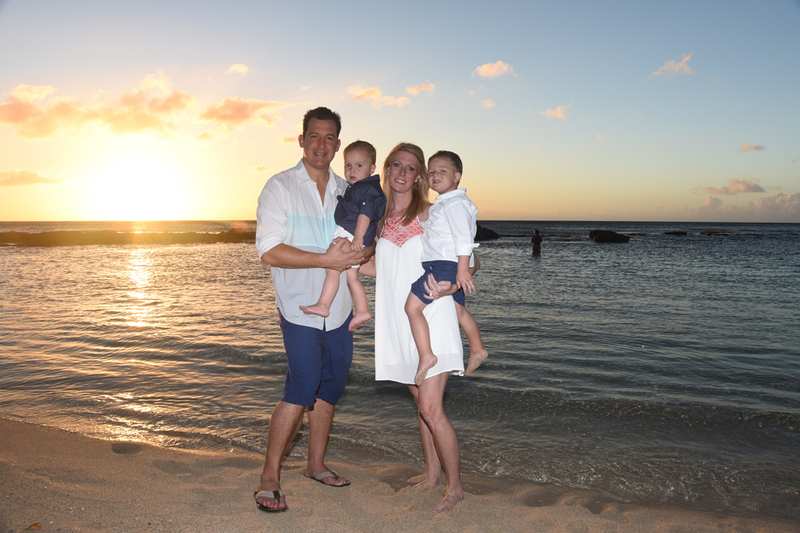 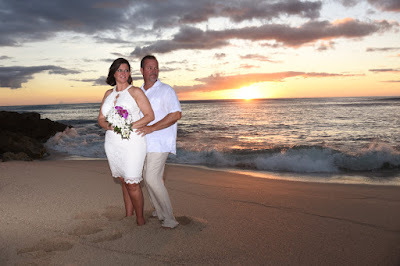 Rev Elias performs a Hawaiian style wedding for Bruce and Joanna at Paradise Cove Beach. 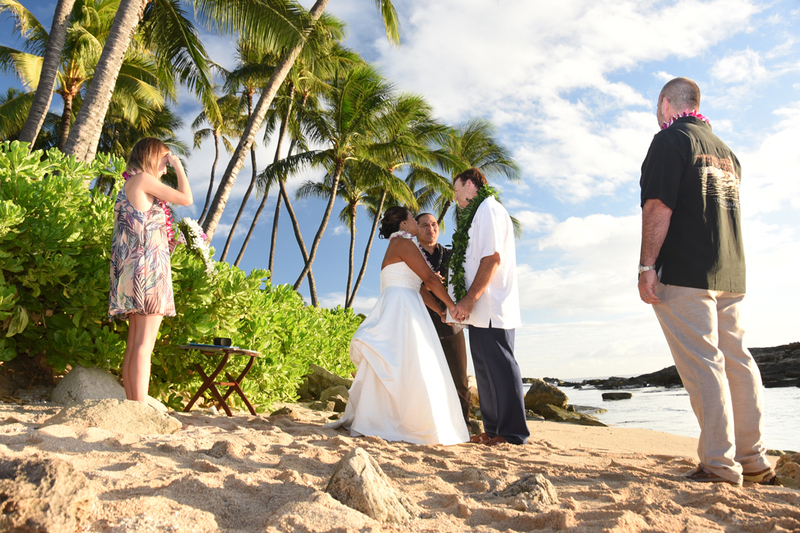 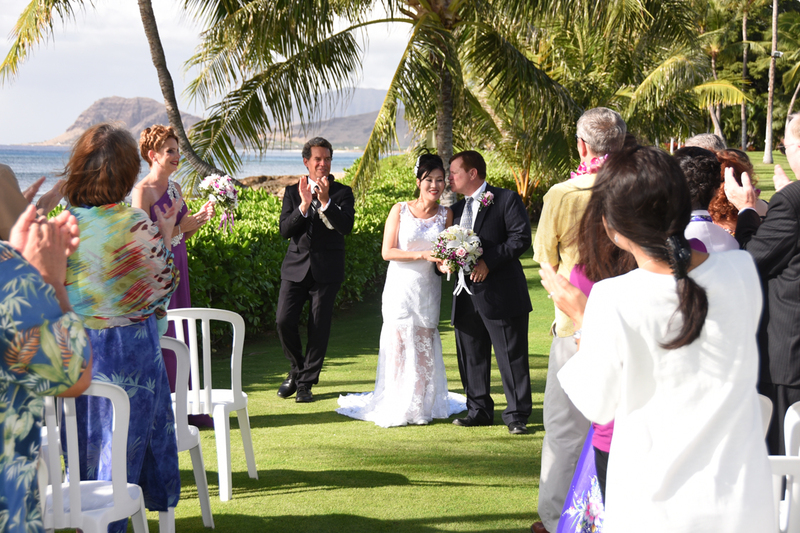 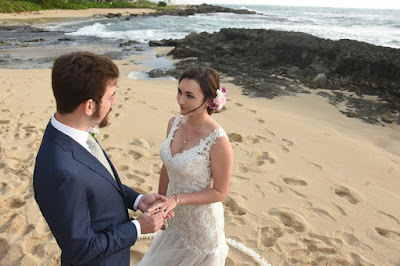 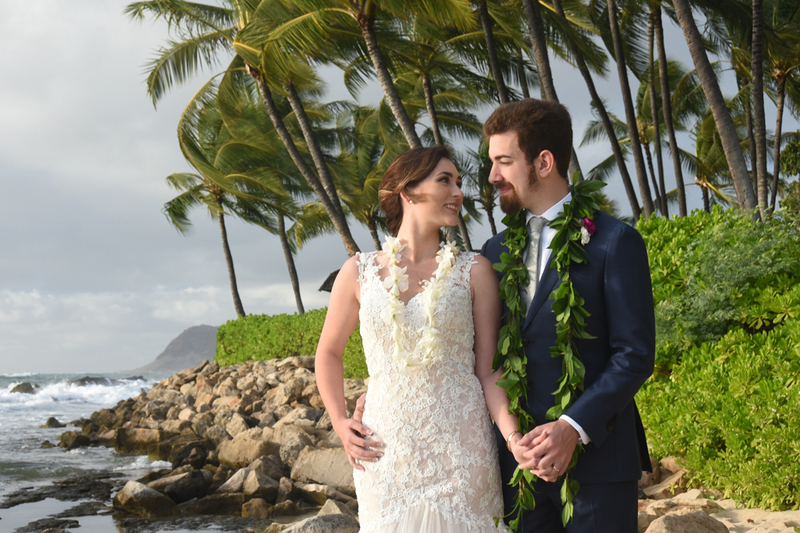 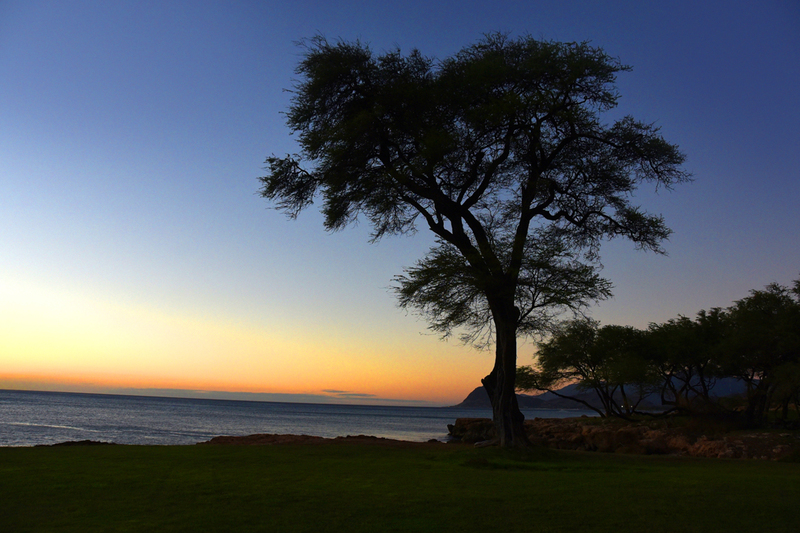 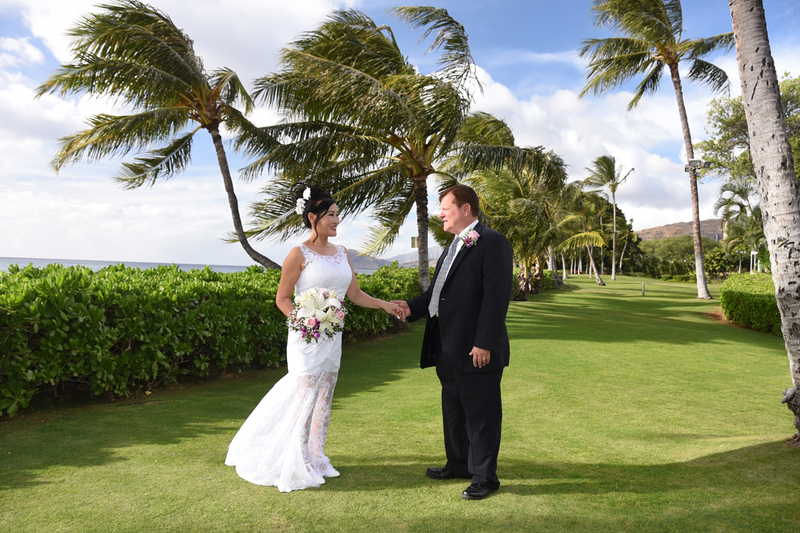 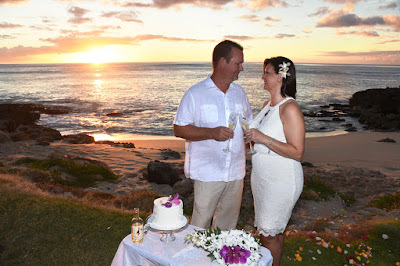 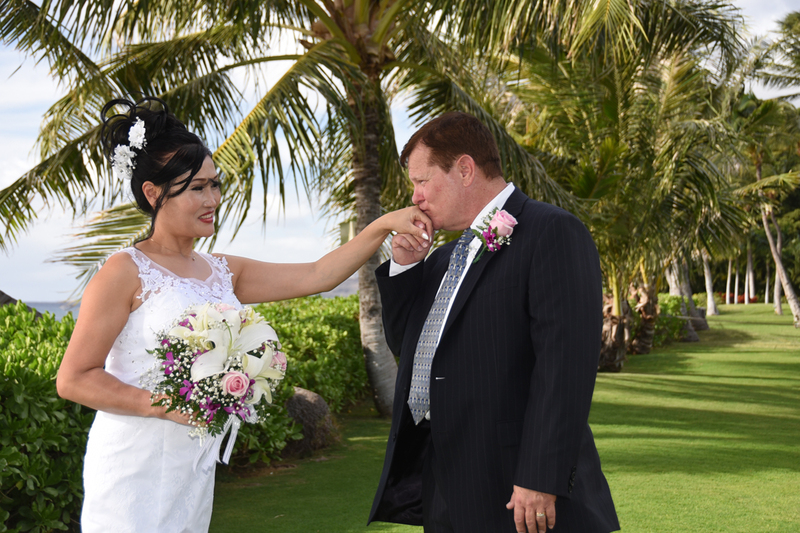 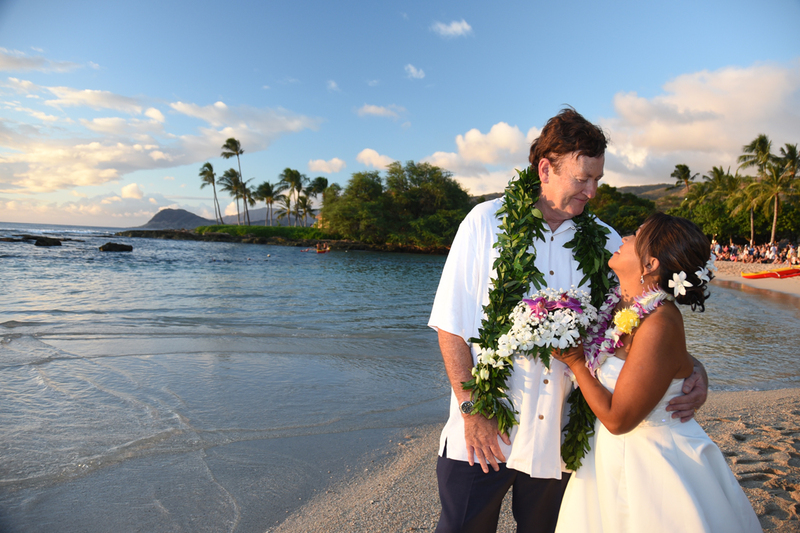 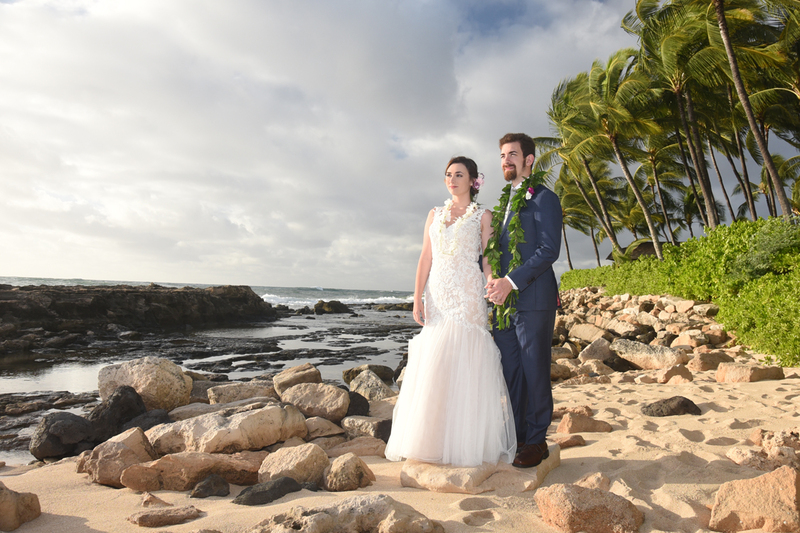 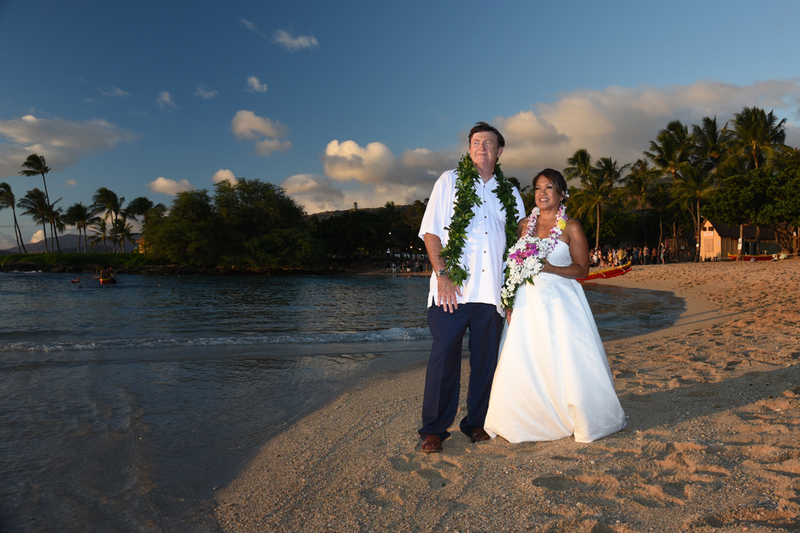 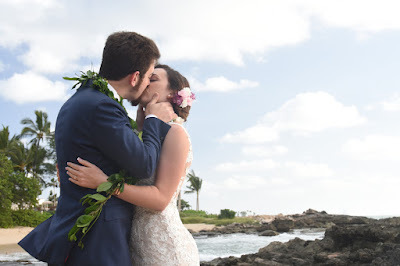 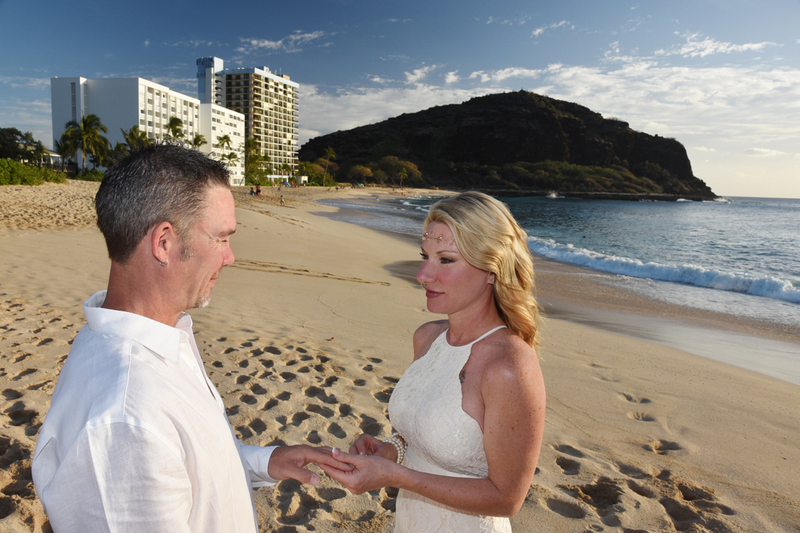 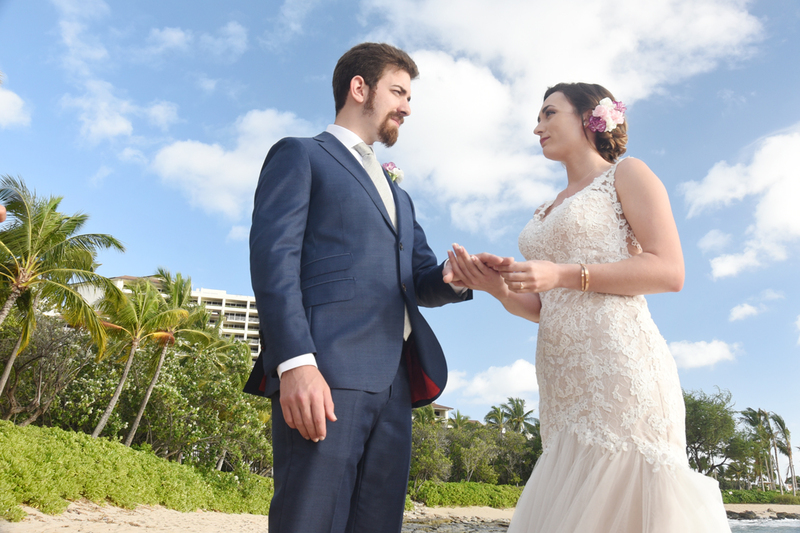 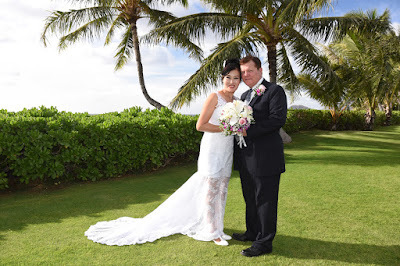 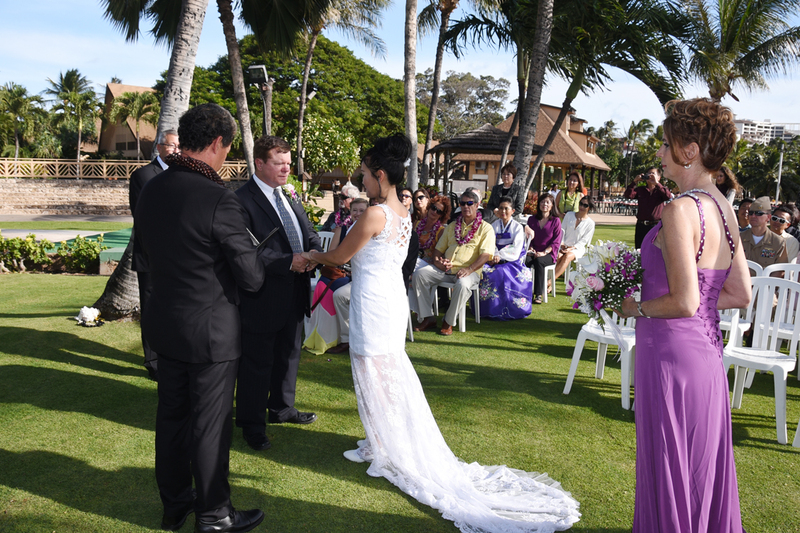 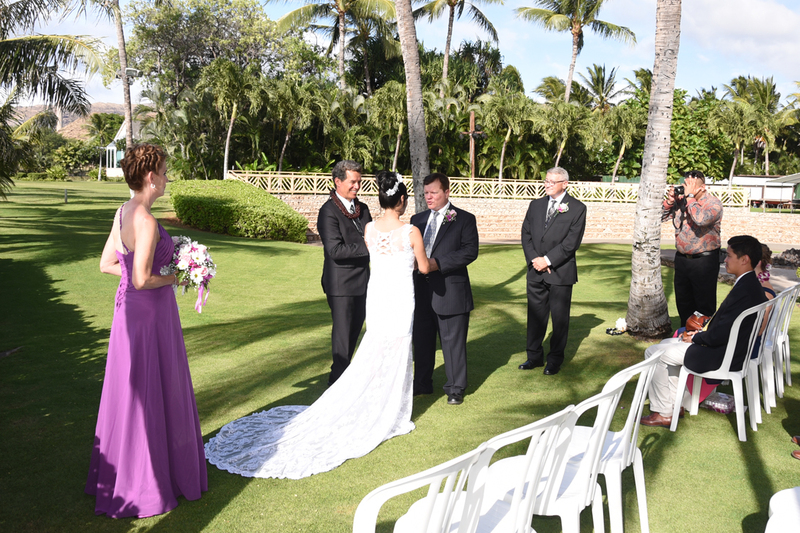 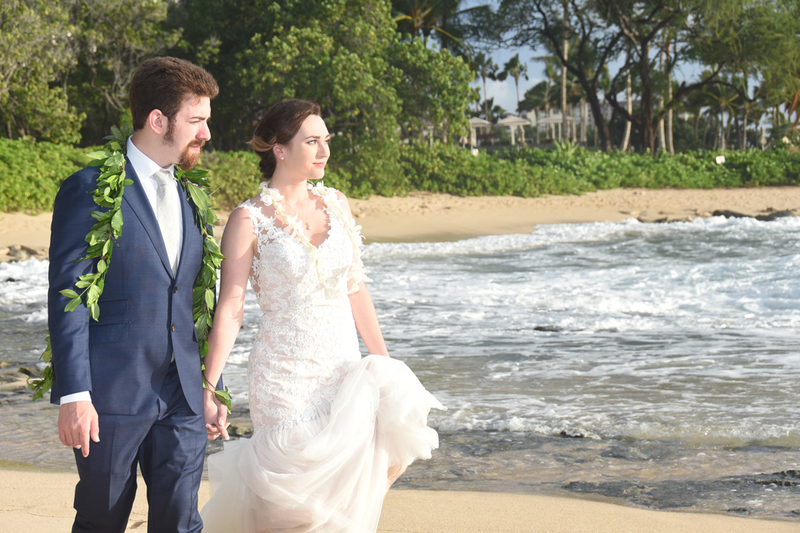 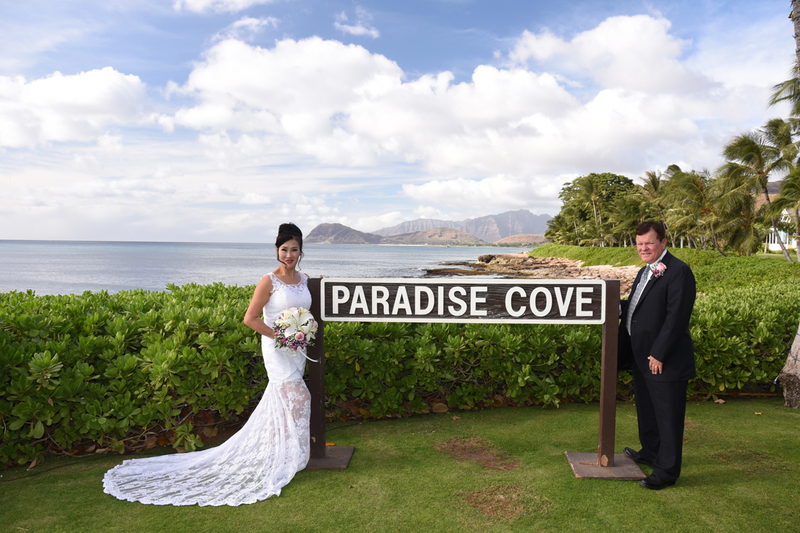 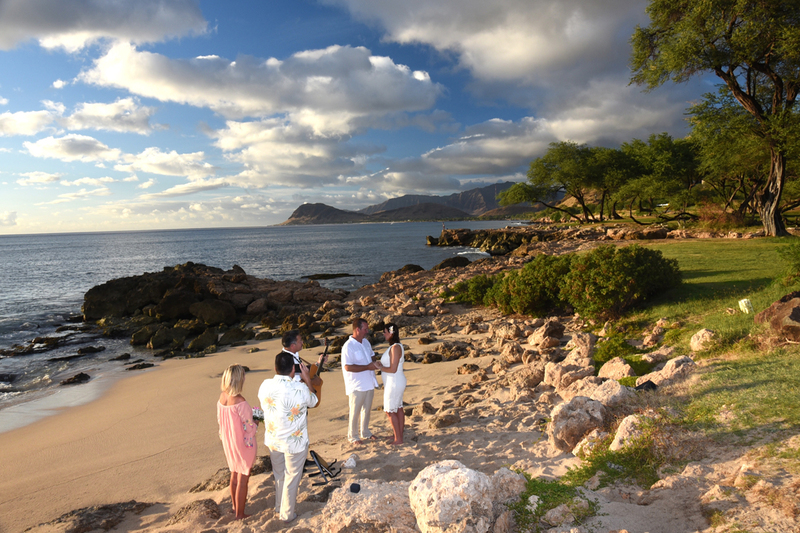 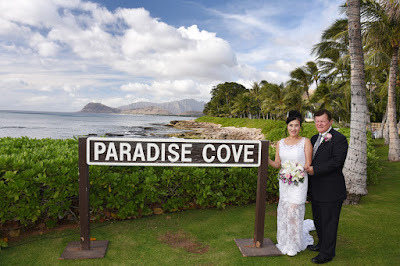 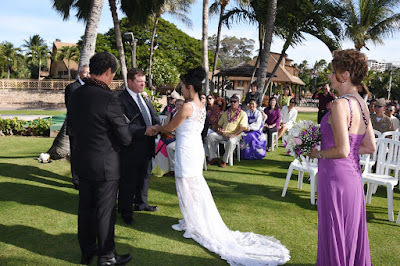 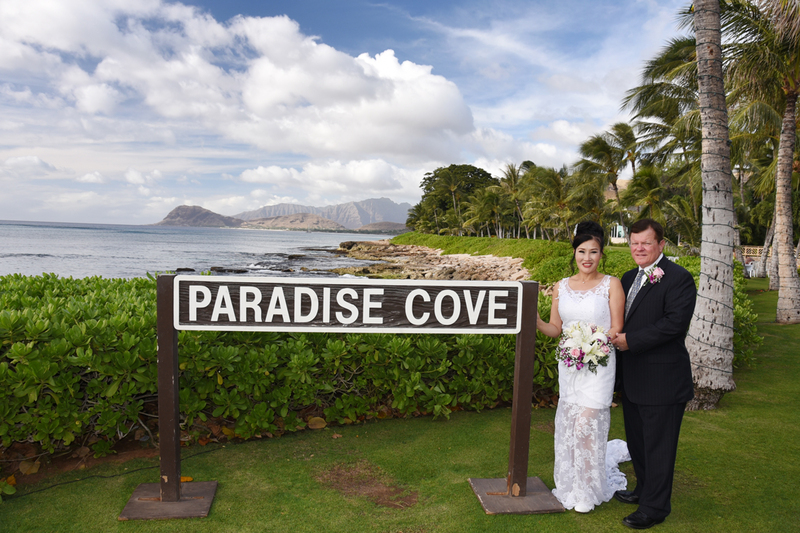 Billy and Connie renew their wedding vows at Milo Cove in Ko Olina. Pastor John adds a nice touch to the ceremony with beautiful guitar music. Rev. 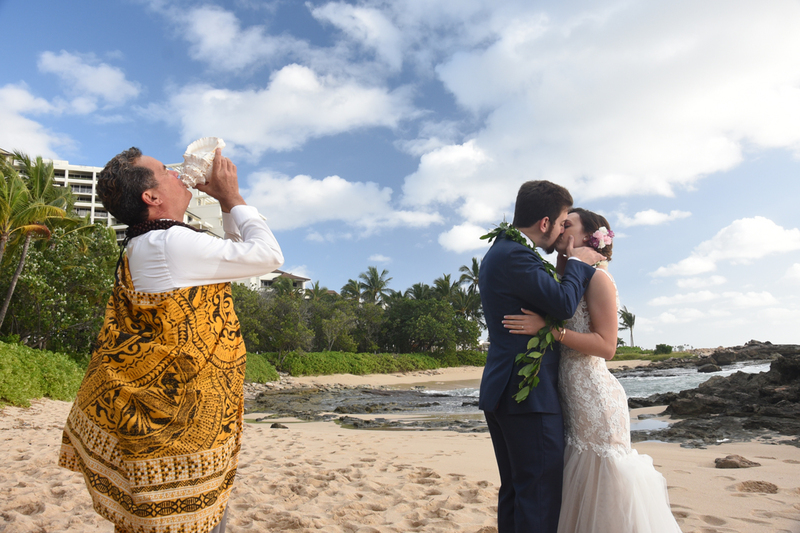 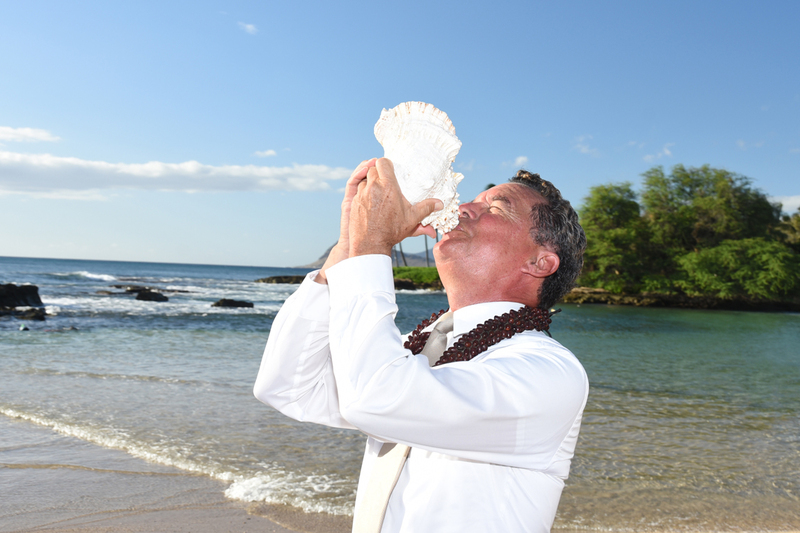 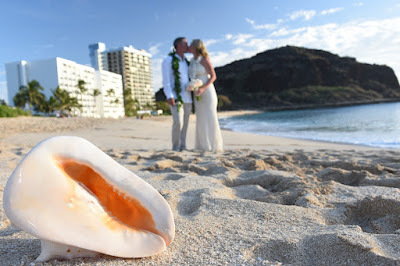 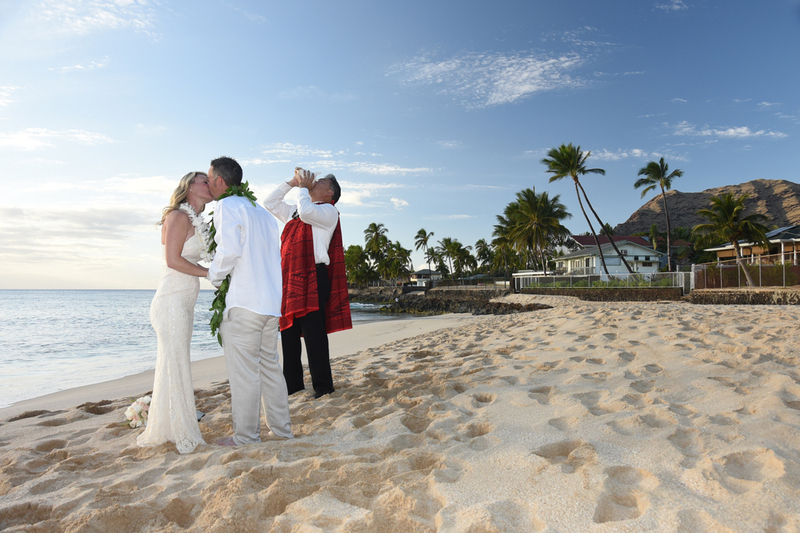 Kimo blows the conch shell as our wedding couple seals their marriage with a kiss at Paradise Cove Beach, Ko Olina in West Oahu.